"Karimah and I met in Dar es Salaam, Tanzania and I was so thrilled to find out we were both returning to Toronto and could continue our nights out to feast on good food. I could not imagine having any other photographer for the wedding, not just for her kind spirit but also her talent. I despise having my picture taken, but Karimah put us at ease with an engagement shoot where we could be ourselves. She captured the moments between "poses" that caught us laughing or fixing each other's hair. It was fantastic. The wedding photos are the same; she sees the beauty in those small moments that are so natural and comfortable to us when we feel like no one is looking, but also go by too fast. "Thanks to the amazing Karimah Gheddai Photography for the amazing photos on our engagement shoot and wedding day. Ahmed and I are truly in love with our photos! You made our special day easy and amazing, and we would love for you to be our photographer anytime. You were professional, understanding and let me add you were fun! Thank you to my amazing sister in law Hodo for recommending you to us:). Keep up the great work!" Karimah was born to take photographs! I first met her in 2016 through a mutual good friend, Mariam, and was impressed by her portfolio. I went on to work with her on the BiaSHEara project, where she demonstrated her knowledge and mastery of the technical aspects of photography, film & documentary production, as well as her ability to coach aspiring film makers. Naturally, as soon as I got engaged, it was a no-brainer...I had to have Karimah on board! Andrew and I were blessed to have her capture our engagement photos. Our interaction, from the initial consultation to the photoshoot through to the editing phase and delivery of the final images was amazing! She knows not only how to engage with couples to get the most candid shot, but also how to interact with them to ensure that even those who are camera shy feel comfortable. We have received such positive feedback from family and friends alike who have exclaimed at how perfectly she captured the essence of our relationship! We would highly recommend her and look forward to her capturing the major milestones of our married life. We wanted to say thank you for the pictures, album, your patience and hard work. It was such a wonderful experience having you as our photographer on the walimah day. You've been helpful and responsive to all questions since day one, from recommending photoshoot locations and vendors, to providing updates on photo progress until they were received in the most thoughtful package! Karimah, you're an absolute delight to work with, and the guests at the reception noticed your energy as well. You were punctual and went above and beyond what I expected on a hectic wedding day. We've highly recommended you to friends and family for your talent, patience, humbleness and great work ethic. "Karimah, on behalf of Francesca and myself I would like to thank you for the amazing job you did on our wedding. Your professionalism combined with the quality of your product was second to none. You made us feel comfortable, relaxed and the entire process was enjoyable to all of us. We really appreciate your ability to capture everything on our special day, your photos would resonate with us for a lifetime. You're an amazing photographer, Thank you!" "Karimah provided photography services for our nikah ceremony, outdoor photo shoot, and wedding reception all in one day. She was timely, courteous, professional, and very accommodating. She arrived at each location with enough time to scope out the space for optimal photos and to set-up her equipment. She worked very well with our guests, ensuring that she respected the privacy needs of all involved. She also knew how to gather and control the crowd in a respectful yet fun/engaging manner when it came to group photos. 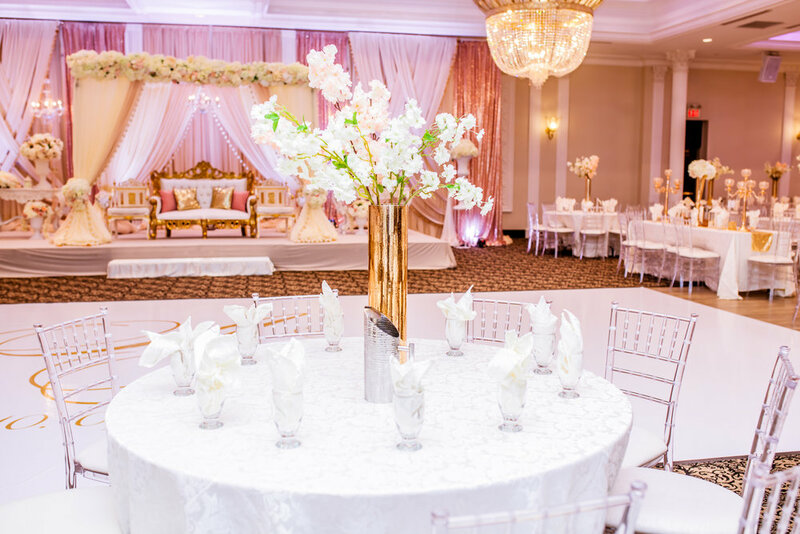 We received multiple comments from our guests about Karimah's services at our wedding! Karimah was also very accessible and easy to communicate with, both prior to and on the day of the wedding. Because of our busy schedule we weren't able to meet with Karimah beforehand, but she was always available to chat by phone, email, or text, and offered to meet at a coffee shop as well. On the wedding day she was in contact with us (or our go-to person) and we did not have to worry about photography at all, as she was on top of things and on schedule. Karimah gave us plenty of suggestions about where to do our photoshoot, keeping in mind our location and our tight schedule. She was also very flexible, and helped us find a new location when we got delayed and couldn't make it to our original location in time. She was even generous enough to offer us a post-wedding shoot as, due to our own fault, we didn't have much time for the outdoor shoot! We are very pleased with Karimah's services and her work. The photos turned out wonderfully, and she was able to capture both candid shots and formal photographs for us to treasure. It was a pleasure working with Karimah, and we do not hesitate to recommend her services!" 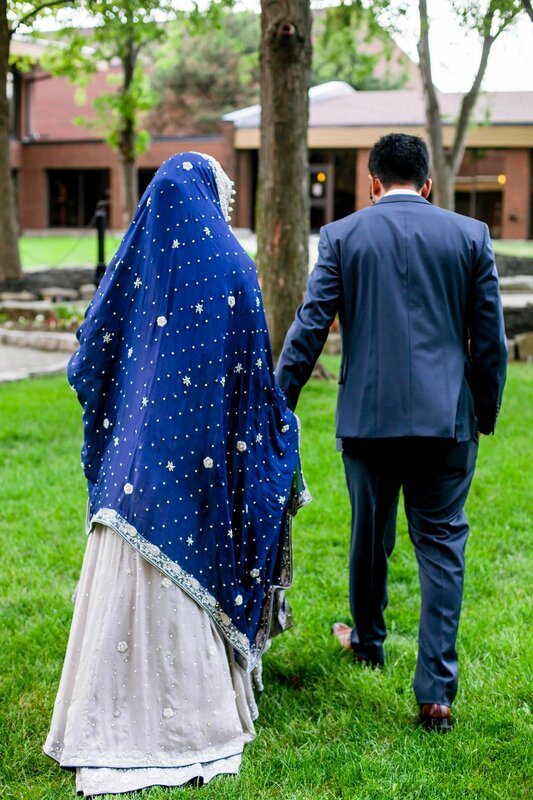 "It was our pleasure having Karimah capture our wedding celebration. We were thoroughly impressed with her courteous and professional conduct. She met with us on multiple occasions prior to our wedding to help us figure out the fine details of what to expect on our big day, and she always seemed to go the extra mile to ensure that we were satisfied. She met with us on multiple occasions, worked long hours on the day of our wedding, and even gifted us a complementary album. The outcome of her work is a direct product of the professional that she is - simplistic and beautiful. We recommend Karimah to all our friends and family, as she was one of the most kindest, hardworking, and accommodating individuals we've had the pleasure of working with. Keep up the great work Karimah and good luck in all of your future endeavors!" It was an absolute pleasure working with Karimah. She was very accommodating from the beginning to the end. We booked her very last minute for our event and she was so kind and easy to work with. As a photographer, she was very professional; she suggested poses and made us feel at ease and comfortable throughout the whole process. She also prioritised both the couples pictures and the ones with our loved ones. She did an excellent job of capturing the event through her lenses, both posed and beautiful candids. The result of her work was very much loved by our family and friends. Karimah went above and beyond and surpassed our expectations. All in all, we would love to work with her again. "I wanted to thank you so much for everything Karimah! You've been so amazing and your work left us speechless. We really enjoyed working with you and look forward to also working with you in the future. Thanks again for everything and may Allah bless everything you do and give you the best in this dunyah and akhirah. Ameen ya Rabb!" From start to finish, Karimah was an absolute delight to work with. She was very professional from the moment we met her to discuss our wedding photography needs. This was really nice to see as we were talking to different vendors that did not demonstrate that. She gave us opportunities to introduce elements unique to us and was always available to talk about details. My family is very hard to please, but they were all vocal about how wonderful she was throughout the whole wedding. Definitely the highlight vendor of our special day. My family, my husband and I were absolutely in awe of how beautiful Karimah’s work was. Karimah consulted with us about the specifics of our vision prior to the wedding and she made sure that our visionary needs were met. Karimah was incredibly accommodating of our needs and coordinated with us and our wedding team prior to and on the day of the wedding. Our families came in for the wedding from the UK, the US, and Egypt and everyone was appreciative of Karimah’s professionalism and accommodating nature. Additionally, we were all blown away with how beautiful the photos came out. We are excited to have the opportunity to book Karimah in the future! If you have worked with KGP before and would like to leave a testimonial that will be placed on this section of my website then please fill out the form below! What type of event did KGP cover for you?